I recently had the opportunity to chat with author, Ashley Hales, about her upcoming book, Finding Holy in the Suburbs. I’ve “known” Ashley around the internet for the last several years, and it’s such a delight to see her do this important work of helping us to cultivate a love for our people and places. People often say to write the book you wish you had. What has shaped you most significantly in your own process of writing and researching for Finding Holy in the Suburbs? How has it ministered to your own experience? I often say, writing a book has been my own version of free therapy. It was really difficult for me to move back to the suburbs because it wasn’t until I moved back home (to California) that I realized how much of my self identity had been predicated on living overseas or living away from home; and also a sense that I’m significant because of those moves. So there was that strand—sort of a feeling like this doesn’t seem like the best fit. And then there was also the other strand — where I’m convinced that God can use people in all places and in all times. And asking, how can I practice that in my own life even though this may not be my ideal place? Also a lot of inspiration came from reading some of my friend’s books. Some of whom are living amongst refugees or living in more under-resourced areas. I was convinced that you could live a full Christian life in the suburbs; our geography doesn’t necessitate our faithfulness to God. Some of the major themes from Finding Holy in the Suburbs are centered around the parable of the prodigal son. Why has this story been so meaningful as you’ve written this book? I think at alternate points in my life I’ve seen myself as either the younger son or older son. I needed to realize in my own heart and life: what is the story, that no matter the circumstances—that God is good, and that he cares about us? And that he’s not looking over his shoulder saying, are you going to get your act together Ashley? So this is one of those stories that I’ve just steeped myself in to figure out who is God and is He good. Does He meet us where we need Him? One of my favorite quotes from your book says, “Healing always begins in the place of hunger.” Can you unpack that a little? What does it mean to be hungry for healing? I think it’s really easy for us to mute our hunger; to not name them particularly. Maybe, my poor parenting days are because I’m hungry for rest, or I’m hungry for deep connection with people, or I’m hungry for God, or I’m confused, or angry. Or maybe I’m upset that I live here. If I don’t name those hungers—they’re going to come out sideways. Especially in the suburbs, we usually have the financial resources to mute those hungers. And so if the vacation doesn’t satisfy, we can redo our house, or we can go back to work, or sign our kids up for another activity; we have the resources to continue to mute our hungers. Which really makes us poorer for it. So the being hungry for healing bit, is first acknowledging that we are hungry people—that God has made us with longings and desires and we need to name them and dig in deep into figure out what those are. We do this so we don’t leave wreckage behind us—or at least minimize it. And then we start to adopt a posture of: I’m going to be honest about those hungers with me and my people, and where I am; to confess them when I am led astray by them, but to know that there is something good underneath them as well—where God longs to heal us. I’ve just seen in the course of writing this book where it became, (and I think any book is like this) —where it started about me and wanting to write this amazing book—and then once I did it day after day—it became about more than pretty sentences. The whole process of editing—it becomes less about me—and turns into one more little tool to help people experience God, to be a good neighbor and to love their place. It’s not mine anymore, and so I could just say for me, in the process of book writing, it has healed the experience of not fitting in. Ultimately, I’ve just seen that all I can do is show up—love my community, my people—and realize that it’s the faithfulness of God that heals us. “Finding Holy” is to be deeply centered around the idea of place. What books or theological perspectives have influenced your own view on place? There’s a few books I’ve really enjoyed: “No place like home,” which is sort of an introduction to a theology of place. Scott Russell Sanders wrote, “Staying Put” which is a collection of lyrical essays. Jen Michel’s book, “Keeping Place” and conversations with her around ideas of home and belonging—those have been the forefront books that at least got me thinking about how this might work as a book. Also, the idea of place a category for understanding self-identity is something that’s followed me for a long time. We went to grad school in Scotland. I definitely felt out of place, as an American, and had to reckon with what does that look like? How do I be authentically myself and yet culturally thoughtful about a different culture that I’m entering into? How are we culturally formed? How is our Christianity culturally formed? I wrestled with those questions. And then that led me into my Ph.D. work where I studied Scottish immigrants and their travel between Scotland and America. And that really came out of my own sense of displacement—so this whole topic is something I’ve circled around for a long time. In the book you have a whole chapter on belovedness. What has that meant in your own life? 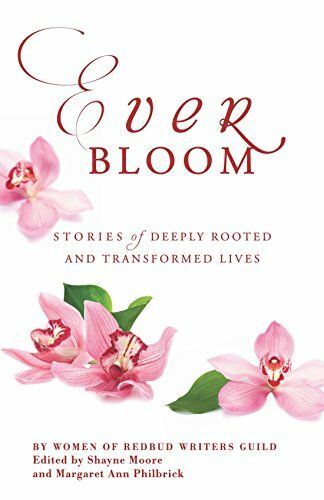 I think for me it’s been the discipline of choosing to believe and telling myself again and again that I am the beloved—and that all the people around me are the beloved. So that has helped me when I want to use so many different things to create my own self worth. That has helped me to let go of expectations of a particular circumstance, or a relationship. I’ve also been meditating on the parable of the prodigal son there too. But really, just to know that we are God’s kids and He gets a kick out of us. He is welcoming when we fail. He does not shame us—He calls us to himself. It’s just been a beautiful picture of what it means to live well in our places, and to do the deep work we’ve been talking about. I’m still learning to figure out how to extend that same grace to my children, or when I’m feeling put out by the stresses of everyday life. I’m still trying to figure out how to get this message into my own body too. What is the message you hope readers take away from your book? My prayer is that it would wake us up from all of the ways we can numb out hungers for God. Like Augustine says, “Our hearts are restless until we rest in God.” My hope and prayer is that it will cut to the marrow of all of those ways that we have dulled our senses to God; to how He shows up in our lives. I also pray it would encourage us and give us practical steps to simply be a good neighbor; to continue to show up in our families, in our suburbs, in our cities. I hope it will help us to offer the welcome of the gospel in practical ways; instead of feeling like you have to do really big things for God and then you don’t do anything ever. I also hope it will help people understand their own internal journey, and then how does that propel them outward in small, practical ways. There’s time to pre-order InterVarsity Press book, Finding Holy in the Suburbs: Living Faithfully in the Land of Too Much. 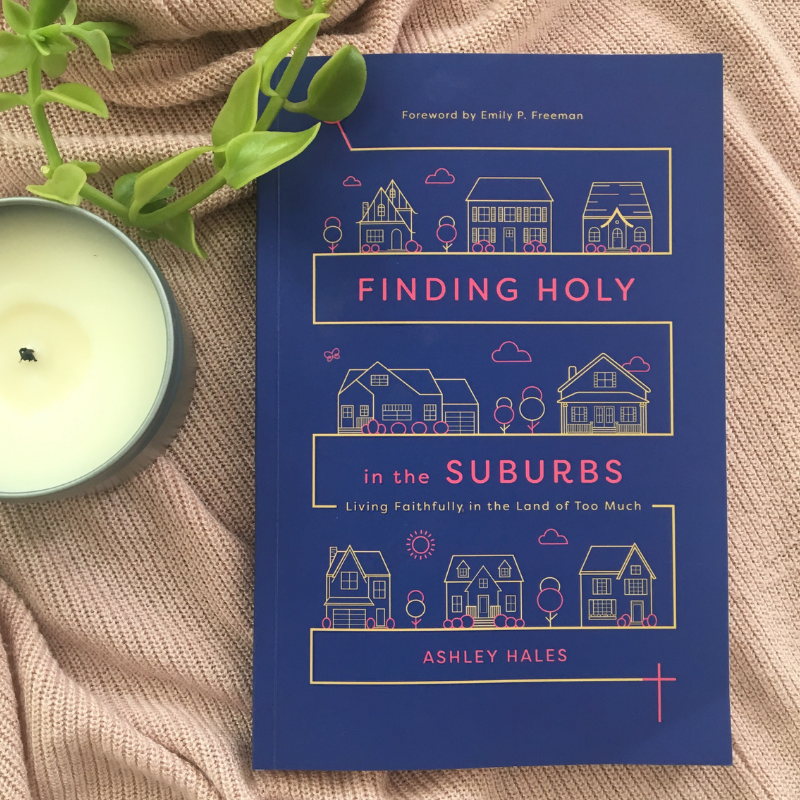 Ashley Hales was one of The Mudroom’s founding writers and we’re thrilled to celebrate with her on the release of Finding Holy in the Suburbs! 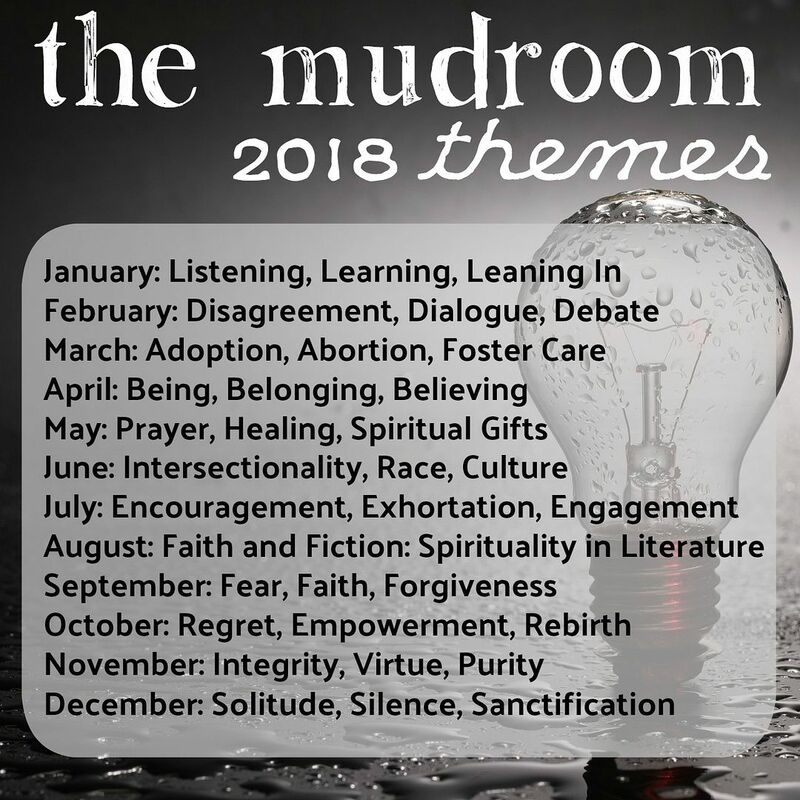 *A gift for our Mudroom readers –> Comment on this post to be entered to win a FREE copy of Finding Holy in the Suburbs!! Watch short clip from the interview below! Thanks Aundi and Ashley!! Don’t forget to order your copy of Finding Holy in the Suburbs and enter to win a free copy. Ashley Hales holds a PhD in English from the University of Edinburgh, Scotland. She’s a writer, speaker, the wife to a church planter in the southern California suburbs and mother to 4. Her writing has been featured in such places as The Gospel Coalition, Books & Culture, and Christianity Today. Her first book is Finding Holy in the Suburbs: Living Faithfully in the Land of Too Much (IVP). Connect with Ashley at aahales.com or on social media at @aahales. Aundi loves people and stories. She has a goofy sense of humor, but may start a deep conversation within five minutes of meeting you. She is an aspiring writer as well as a professional counselor in Colorado. Her hope is to use her voice to talk about hard and beautiful things. This entry was posted in Faith, Place, Writing and tagged Ashley Hales, belovedness, Finding Holy in the Suburbs, suburbs, theology of place. Bookmark the permalink.